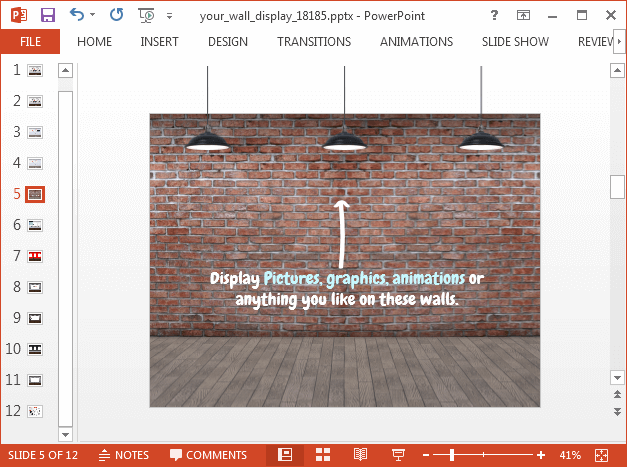 A picture gallery, graffiti at a downtown wall or pictures on a wall in general can be good slide layouts for presenting your presentation topic. 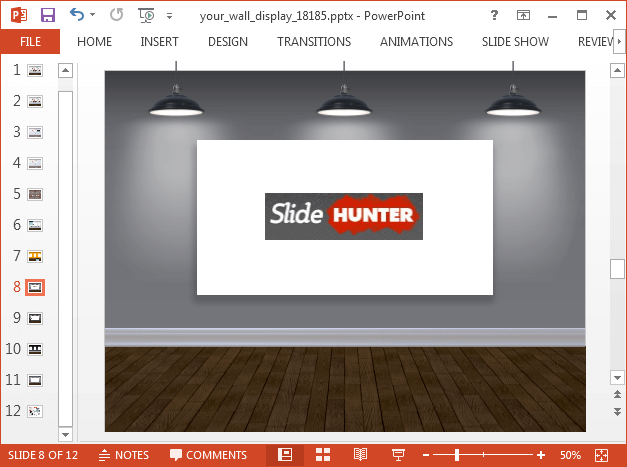 The Picture Gallery PowerPoint Template gives some awesome wall like slides for making presentations with picture gallery and wall art slide backgrounds. 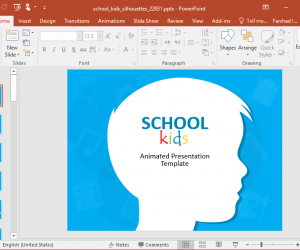 While the opening slide might seem like a generic introductory slide with doodles, you can actually reuse the icons by individually copying them. 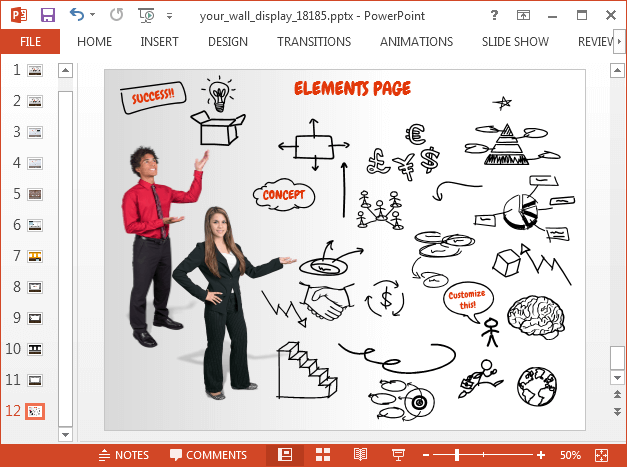 This is because even the smallest slide objects in this template are editable and can be copied and reused. 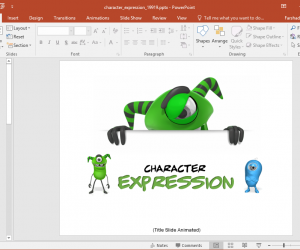 There is also a clipart slide with human characters and doodle like graffiti clipart. 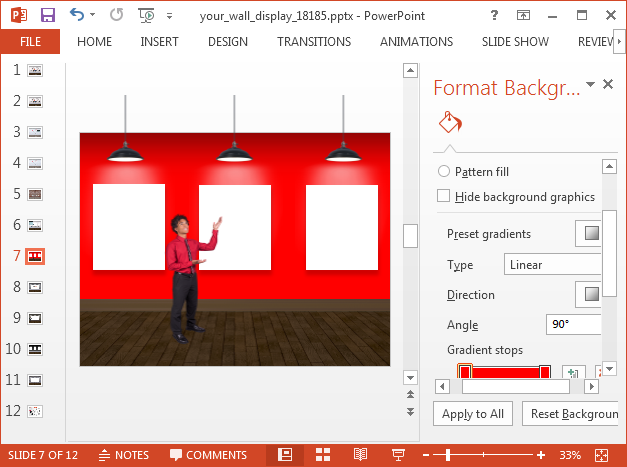 This picture gallery PowerPoint template comes with tooltips instructing how you can customize the wall layouts. 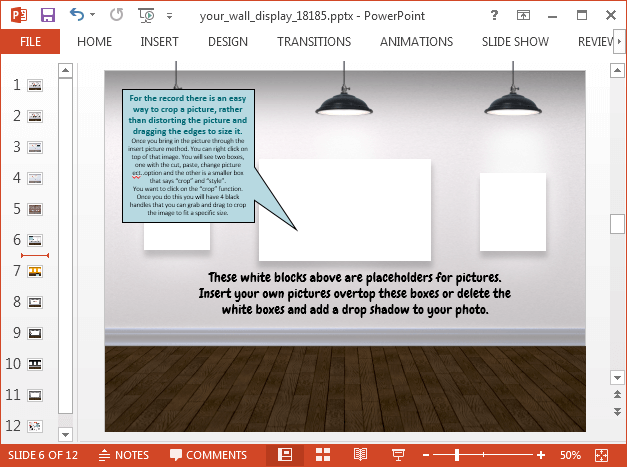 You can for instance, add images to picture frames, remove picture frames, add text, videos and additional clipart, change the wall background color and add effects to your slides. 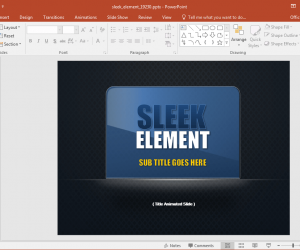 What makes all the aforementioned special in case of this template is that since you can drag and drop or remove slide objects, you get the chance of performing major customizations for sample layouts. 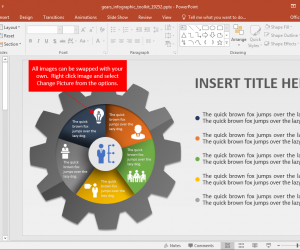 We changed the background color of a slide to red and inserted a human character from the sample clipart slide to demonstrate the customization capability you get with this template. 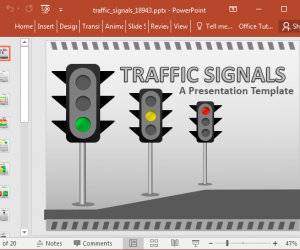 Similarly, the below screenshot is an example as to how you can customize the sample slides to present something related to your presentation topic. You can also add a video, chart or diagram within the picture frame or remove the frame altogether to fashion your own layout. The wall themed layouts also provide background which seem like walls with street art. 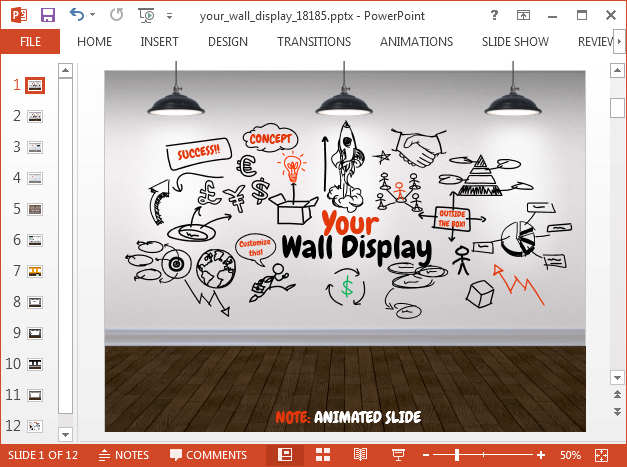 You can display your graphics and animations on the wall to make your slides unique and attention grabbing. 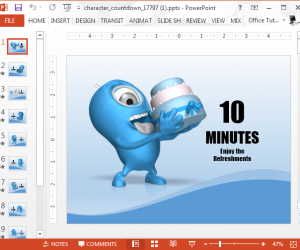 Slide 12 gives you customizable clipart in the form of symbols. There are also two characters that can be easily placed within slides to give them a more lively look.